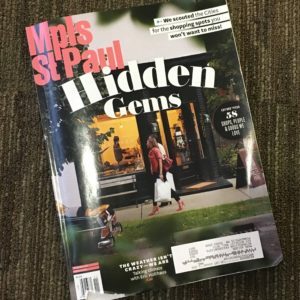 The Minneapolis/St. 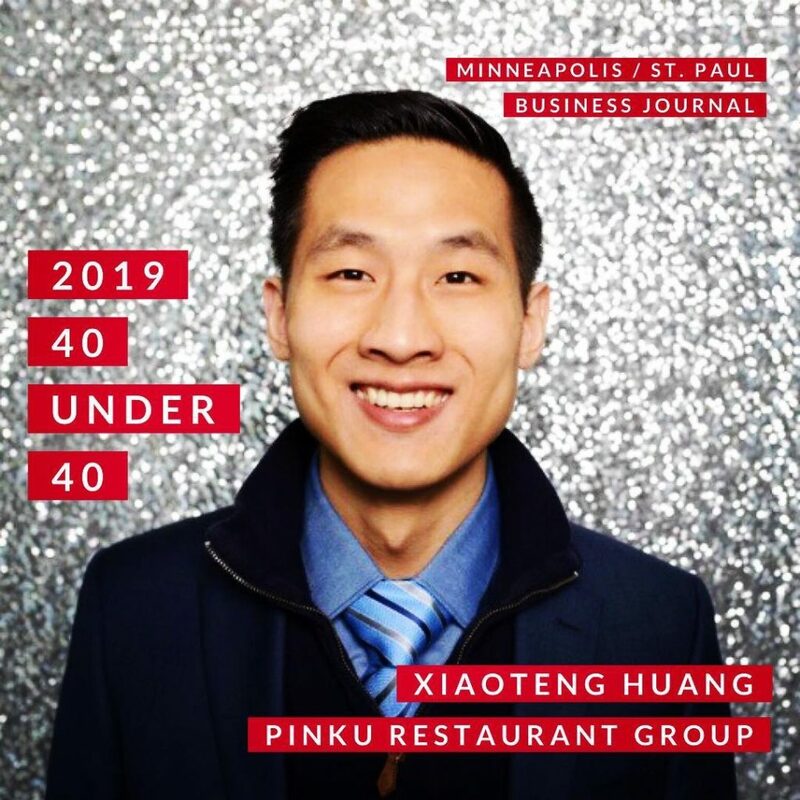 Paul Business Journal announced PinKU Japanese Street Food’s Xiaoteng Huang on its first round list of 2019 “40 Under 40” honorees, a list that includes young business and community leaders from across industries and throughout the Twin Cities. 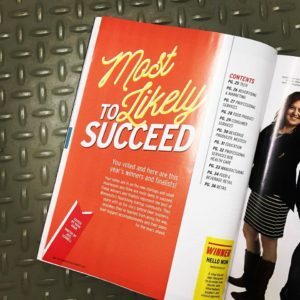 Each year, Business Journal editors select 40 leaders under the age of 40 who have demonstrated outstanding professional achievement while also finding time to give back to their communities. 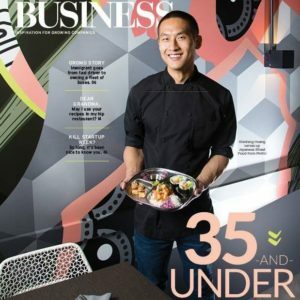 This year, there was nearly 400 nominations, making the selection an incredible achievement for Xiaoteng. 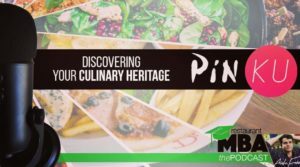 PinKU was featured in the Minnesota Food Guide (page 57 & 66). 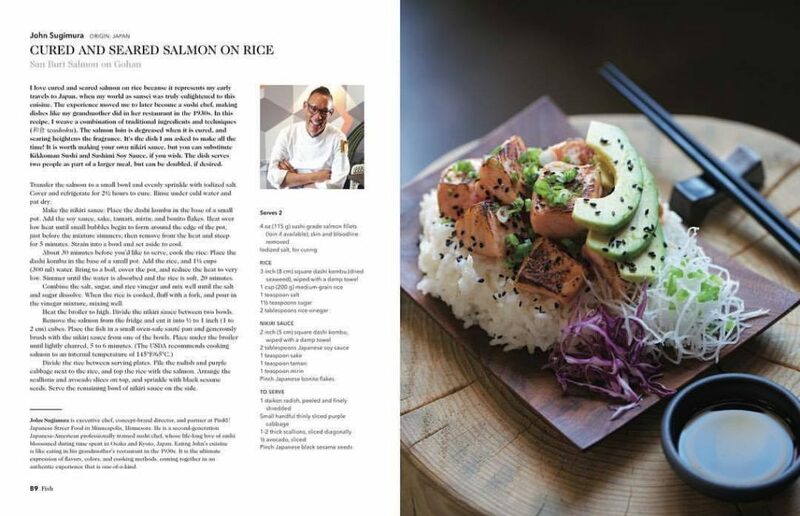 Chef John Sugimura making spicy tuna crispy rice to ring in the new year on FOX 11 Los Angeles. 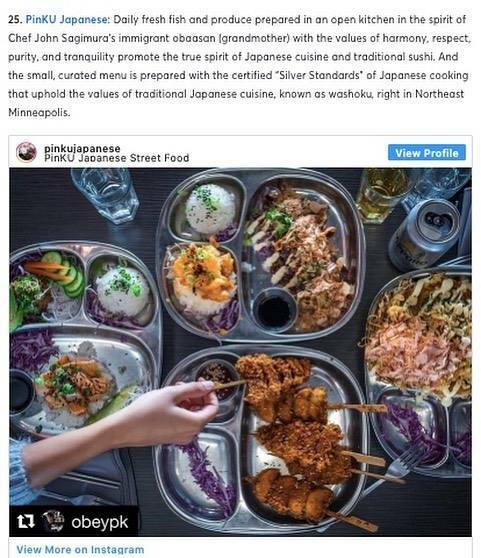 PinKU Japanese Street Food represents the best of Minnesota’s flourishing startup community most likely to succeed according to Minnesota Business Magazine. 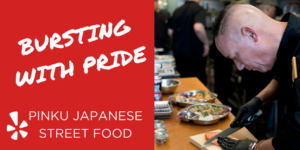 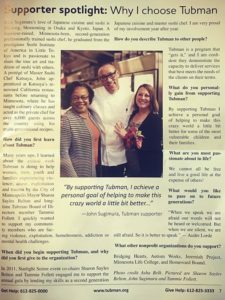 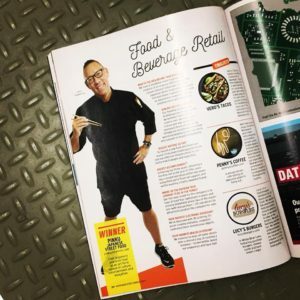 Chef John Sugimura was recognized for presenting food as an art form rooted in culture, entertainment and education. 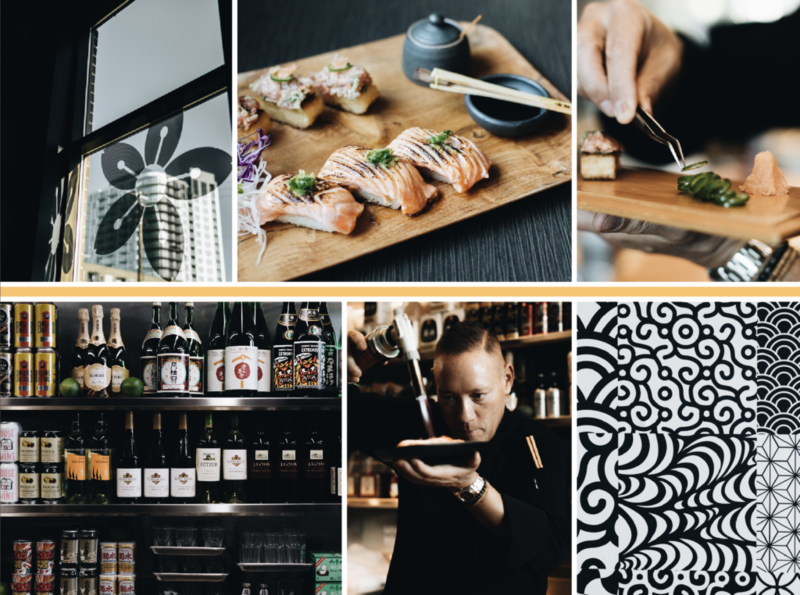 Chef John Sugimura is featured in The Immigrant Cookbook, a beautifully designed and photographed cookbook, which will be published December 1, by Interlink Publishing, a 30-year-old, Massachusetts-based independent publishing house. 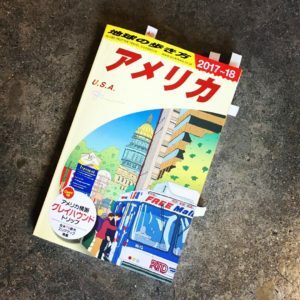 Interlink will donate half of the profits generated from the sale of this book to the ACLU. 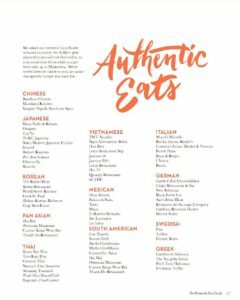 The Immigrant Cookbook: Recipes that Make America Great to counteract the toxic and anti-immigrant rhetoric, help raise funds to support the work of the ACLU (American Civil Liberties Union) in defending the rights of immigrants, and to celebrate the many ethnic groups that have contributed to America’s vibrant food culture. 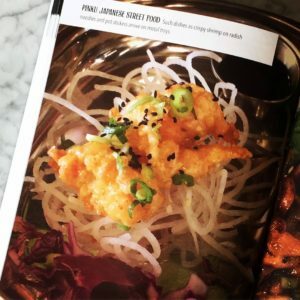 The book will promote the message of unity and will feature 80 or so recipes from prominent American immigrant chefs that will highlight the diversity of America as a whole. 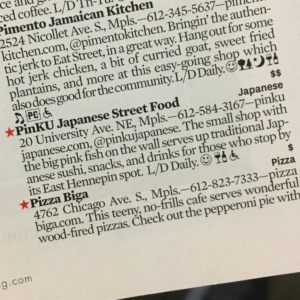 PinKU Japanese Street Food was designated as a “Editor’s Choice” by Mpls.St.Paul Magazine’s dining critics and editors as being among the best of their type locally (Page 180). 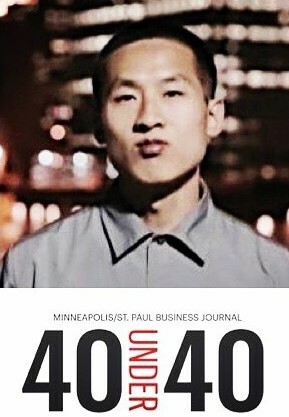 “Minneapolis has become a melting pot in recent decades. 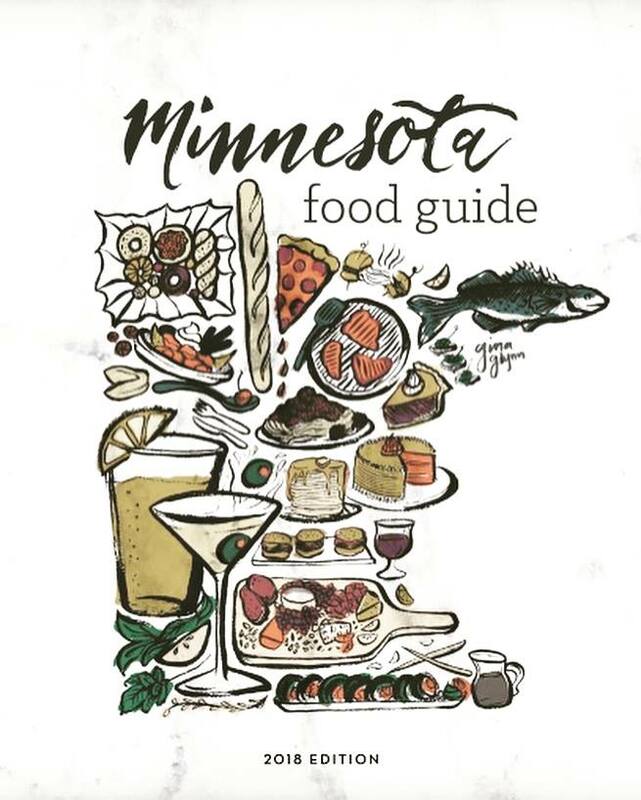 Eat your way around the world at these St. Paul and Minneapolis standouts. 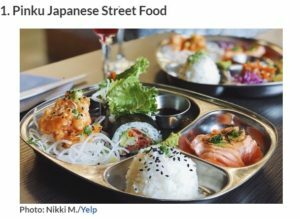 The menu at PinKU Japanese Street Food has a curated menus of only 11 items, like yellowtail under a confetti of fried onions. 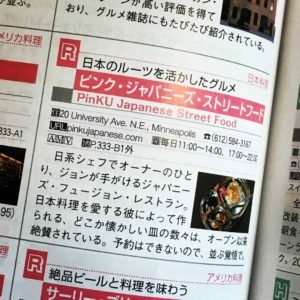 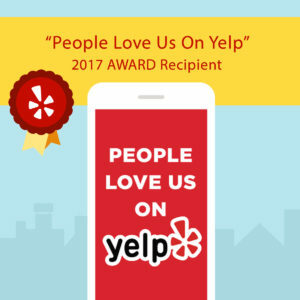 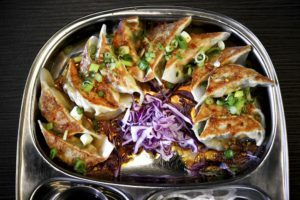 Minneapolis; pinkujapanese.com; entrées $4-$9″ – Mecca Bos. 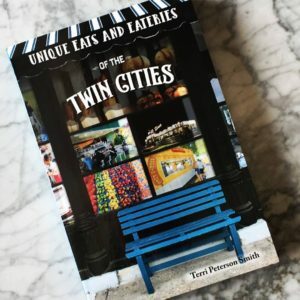 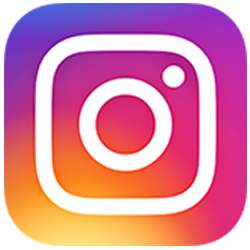 City Pages “Reader’s Choice Poll” highlights all the best people to follow, the best things to do, and the best places to eat, drink, play, and party. 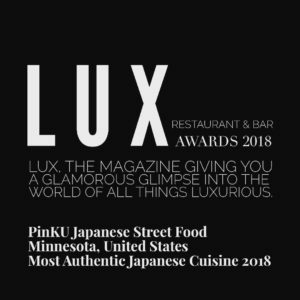 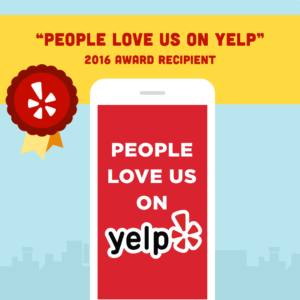 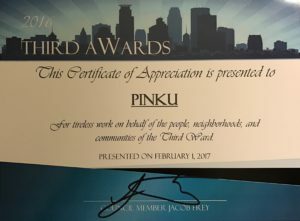 PinKU Japanese Street Food was voted into the final round for top five “Best New Restaurants.” PinKU Japanese Street Food is something really cool that happened over the last year that needed to be reflected in the “Best of the Twin Cities 2017” list.